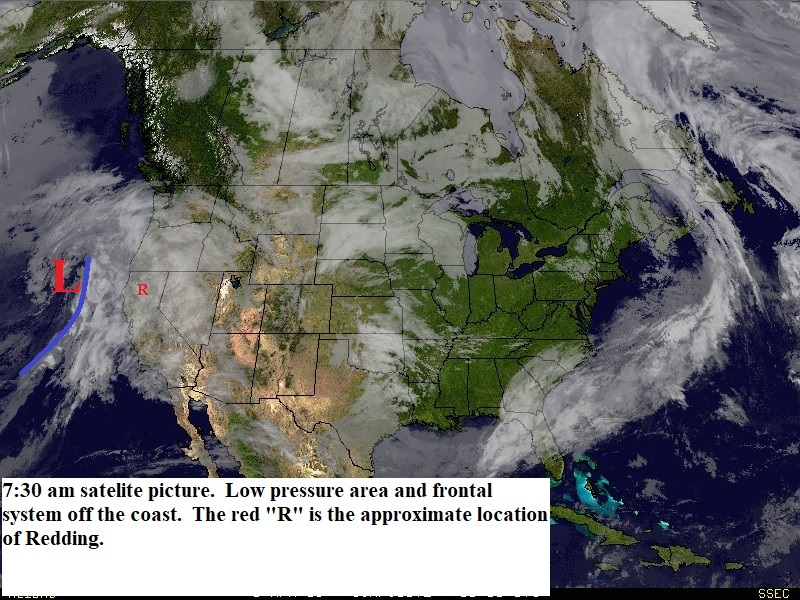 A series of weak frontal systems will move across Northern California during the next week. Today a low pressure area is off the coast and will bring rain and showers to the area today and Tuesday. Snow levels will be 6000 feet or higher. The next frontal systems will move through Thursday...Friday afternoon and Saturday...and another one Sunday afternoon (see map below). Each of these fronts will bring light to moderate rain to the north state. The Friday system looks like the strongest and will bring gusty south winds to the area. Snow levels will remain high. Between the fronts...Wednesday and Saturday afternoon we will see partly cloudy skies with mountain showers.